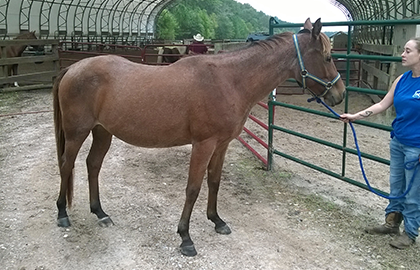 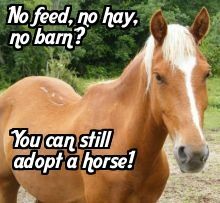 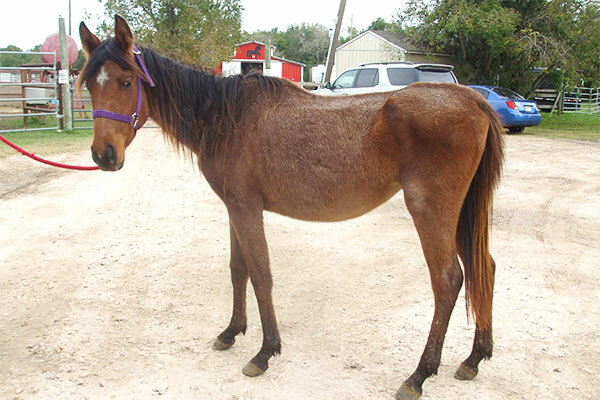 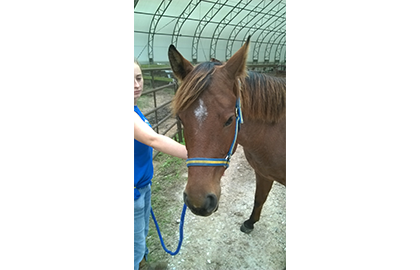 Meadow is a roan filly from Central Texas who was seized from her owners due to neglect. 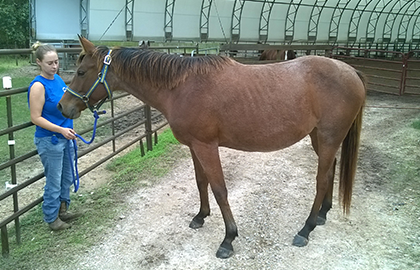 She has come to Habitat for Horses in November 2014 quite underweight. 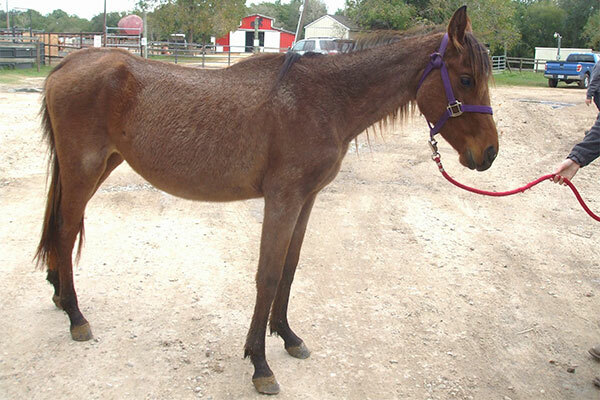 She will need time to recover before her truly training can begin. 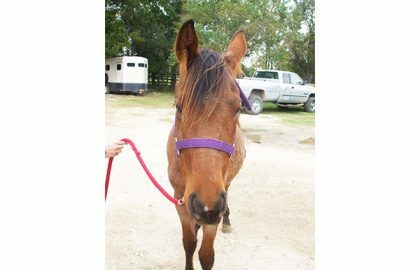 Once we have more information, we will update this page – or call our office for more information: 409-935-0277.